Common carriers provide transportation for thousands of Arizona residents each day. 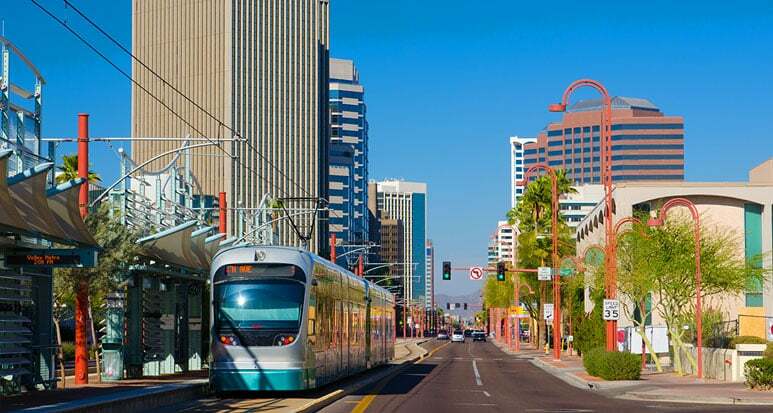 Whether you are jumping on the Valley Metro bus for a quick ride to the store or boarding a passenger train for a day trip across the state, these modes of transportation fall under the classification of a common carrier. While most people make it to their destinations safely, these trips can also have tragic endings. When common carrier accidents cause fatalities, surviving families are forced to put back the pieces of their lives without their loved one, who may even be the primary income earner. The experienced Phoenix wrongful death attorneys of Plattner Verderame, P.C. speak up for families who have been impacted by fatal accidents involving common carriers. Our dedicated attorneys provide honest representation for the innocent victims of someone else’s negligence. Whether the carrier is owned by a private company or a government entity, we have the skill and resources to fight for compensation in the conference room or the courtroom. What is a common carrier? When people board these carriers, they do so with the expectation that they will arrive at their destination safely and without incident. Unfortunately, this is not always the case. Any of these carriers can be involved in a serious accident, causing the death of one or more passengers. Some of the most common causes of these deadly common carrier incidents include operator error, inadequate maintenance or defective parts within the carrier vehicle. Federal and state offices regulate each of these industries, maintaining requirements for proper inspection and upkeep. For example, the Arizona Department of Transportation requires taxicab owners to provide detailed records of vehicle maintenance for inspection by agency representatives. The Federal Aviation Administration regulates commercial flights, while the cruise ship industry is regulated by the U.S. Department of Transportation, along with several other entities. When carrier owners and operators fail to abide by these regulations, they place their passengers at an increased risk of injury and death. Who is at fault in a fatal common carrier accident? When common carrier accidents occur, it can prove challenging to accurately identify the precise cause and all responsible parties. The carrier owner or operator may try to hide valuable evidence from the family. In accidents involving plane crashes or water vessels, access to the accident scene is often limited. When you work with our firm, you can rest assured that our lawyers are diligently investigating the cause of your loved one’s death. Once we have identified the responsible party or parties, we craft a wrongful death claim that effectively demonstrates the pain and suffering experienced by your family. Our lawyers have earned distinctions held by less than two percent of all Arizona attorneys. Richard Plattner, Frank Verderame and Randy Hinsch have each been certified by the Arizona State Bar as Specialists in Personal Injury and Wrongful Death Litigation. Nick Verderame, our fourth attorney, is diligently working toward his certification as he earnestly fights for families affected by the wrongful death of a loved one. The death of a loved one is always hard, but it is even more difficult to comprehend when caused by the negligent actions of another. At Plattner Verderame, P.C., our experienced Phoenix common carrier fatality lawyers believe that all responsible parties should be held accountable. That’s why we dedicate ourselves to providing every client with high-quality representation. Call us today at 602-783-8793, or complete our contact form. We handle all cases on a contingency-fee basis. $25 million dollar award: auto crash involving a catastrophic brain injury to a small child. 2014. $10 million dollar verdict: in an airplane crash trial involving serious injuries to passengers of a small airplane on a sightseeing trip over the Grand Canyon. 1994. $7 million dollar judgment: for brain injury from workplace fall; Settled during appeal. 1997. Does the Time of Delivery Increase the Risk of Complications for Your Newborn? "If you are looking for highly intelligent, experienced, results oriented lawyers who specialize in injury and wrongful death, I found them with Randall Hinsch and Richard Plattner of the Plattner Verderame law firm. Randy understood my needs, walked me through at my pace and made me feel comfortable through the whole process. Best of all, they helped me obtain the justice deserved. I was in direct contact with them the whole time and my case was solved without having to go to trial. I would highly recommend them." "The experience I had with Plattner-Verderame was a very positive one. My personal attorney was Randall Hinsch. Both Randy and his legal assistant Michelle Quillan were wonderful and always kept me up to date on any progress. I never felt like they forgot about me. They were skillful, professional and just very decent nice people. I would most definitely highly recommend them."